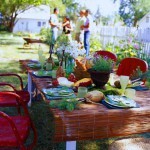 Throw a party in your garden or on the backyard on the weekend and we will tell easy ways on how to arrange it. There are still couple more sunny days and warm evenings left. 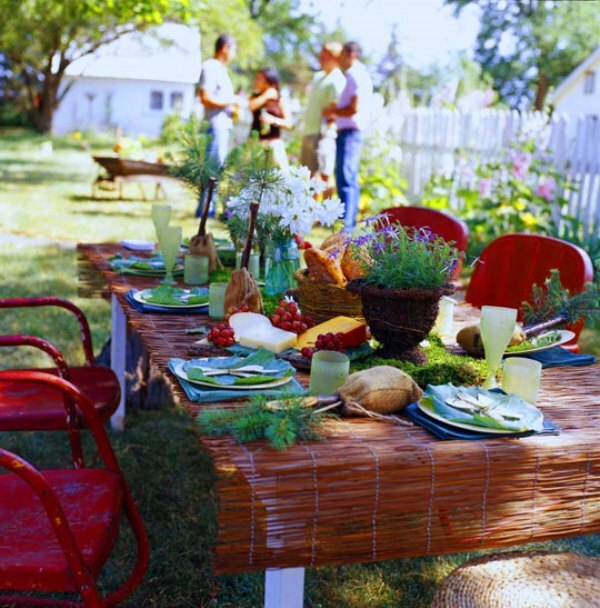 Use them to say “goodbye” to warm weather, arrange garden party with your friends. 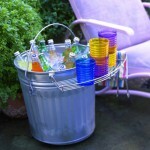 Serve cold drinks in colorful plastic cups. And there is no need to keep bottles in a refrigerator bag, just fill a bucket or a pot with ice and fix a soap holder on the bucket’s edge for cups. Now you have a mini bar. 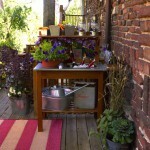 Another mini bar can be installed on the garden table. 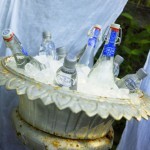 Place the necessary dishes and drinks and decorate it with flowers or anything you can find. Instead of a fabric tablecloth try a bamboo one, it will keep table clean and will allow you not to wash it afterwards. For table decorating use anything that you can find in the garden: leaves, tree branches, flowers and berries. 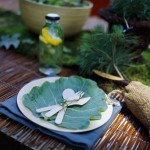 Also you can replace napkins with leaves. Colorful pillows can turn even boring plastic furniture into a cozy sitting area that invites to sit, sip drinks, relax and get involved into a friendly conversation. 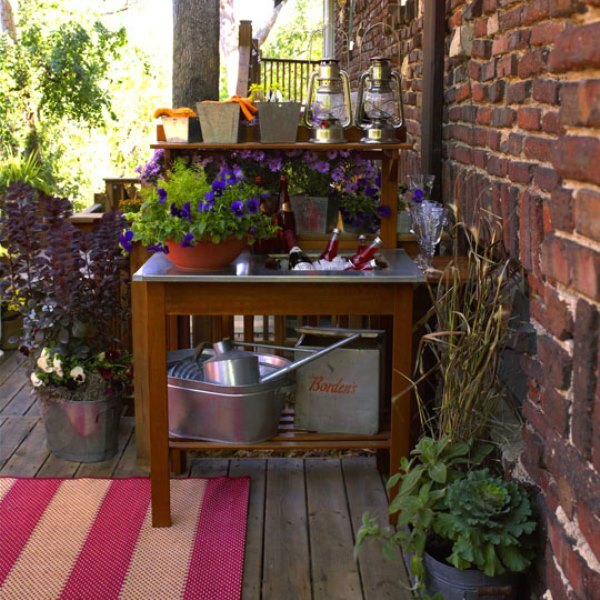 Put all pillows and ottomans that you have at home outside. Don’t be afraid to mix colors, patterns, fabrics and textures. They will add just another doze of fun. 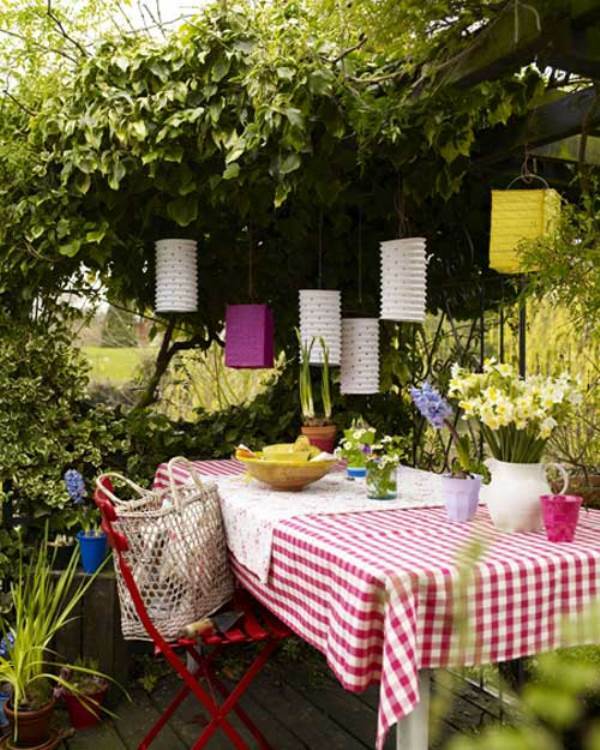 If your party lasts till late evening, don’t forget about lighting. 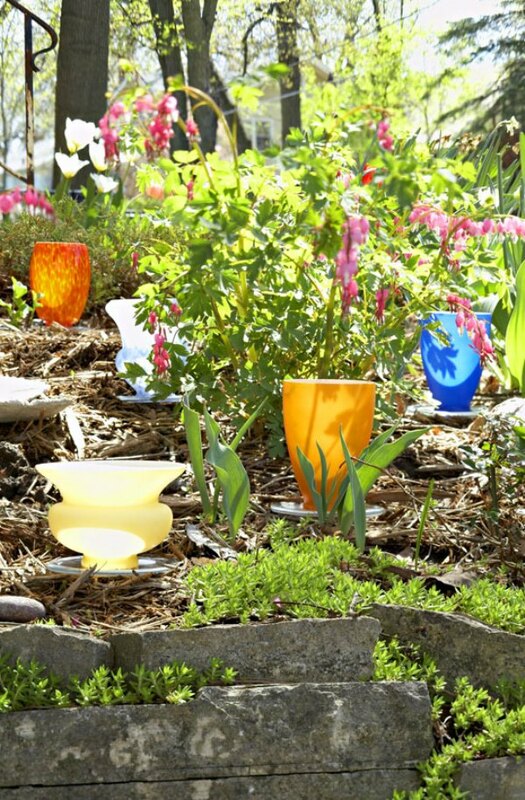 Put candles into the vases of different colors and put them everywhere in the yard. 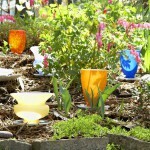 It will bring delight and intimate illumination and create a friendly, open and homely mood. 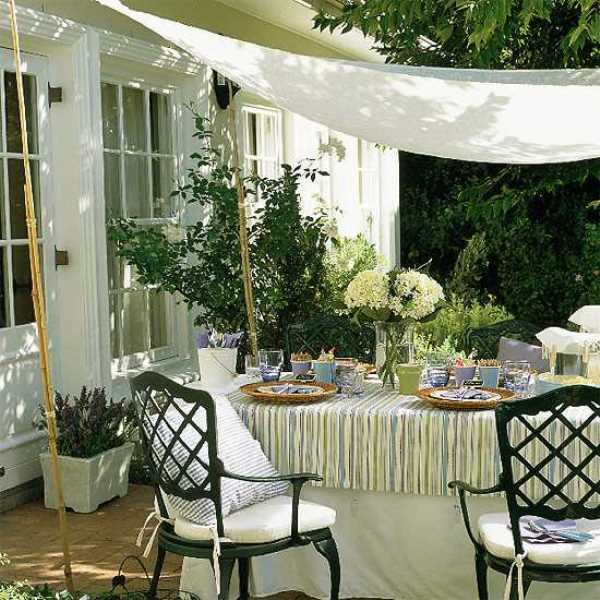 If the weather is a little windy, use fabric to protect yourself and guests from wind. 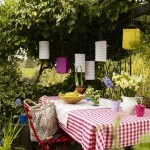 It can be hung on the trees or a built frame put together with a couple of long sticks tired with rope.